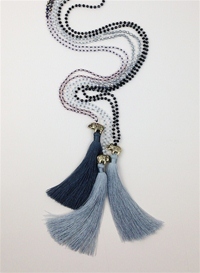 Ten years ago, designer Jennifer Belcourt, after years of living and travelling Asia, settled in Bali. 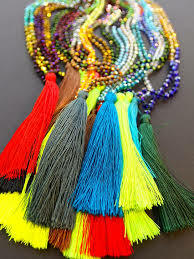 Inspired by her bohemian life and travels, she began designing a collection of necklaces, working with the traditional Balinese tassel necklace, mixing the different techniques and materials from each island with her keen sense of color and style. 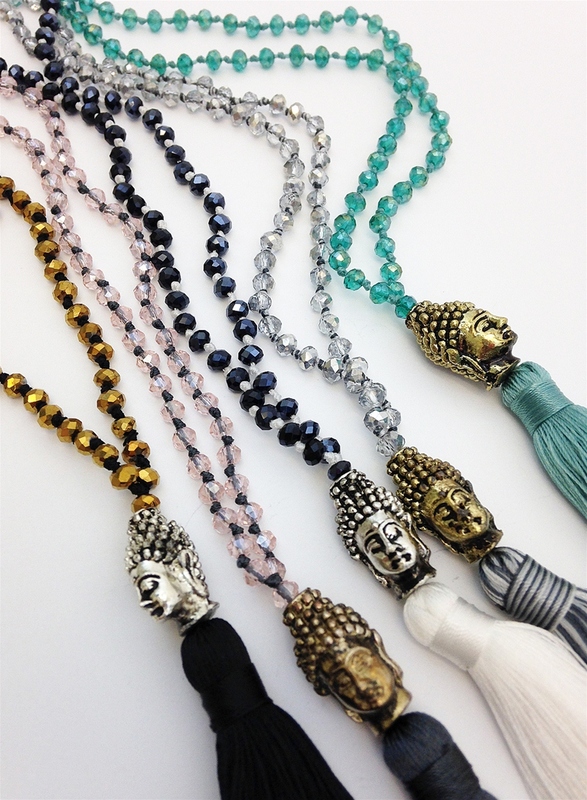 Many necklaces in the Zacasha collection have charms of Buddha or elephants who carry a message of peace and good luck to those who wear them. (FYI -The elephant trunk must always be up to bring good luck!) Their necklaces are made not in factories. 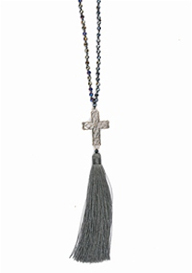 They are made in Indonesian villages by artisans who traditionally work from their home and care for their families in a time held manner.